Yeley's wrecked primary car after practice on Friday. 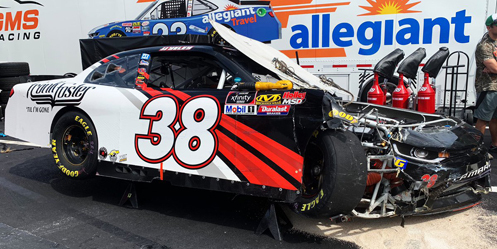 J.J. Yeley picked up the 6th last-place finish of his NASCAR XFNITY Series career in Saturday’s Drive for the Cure 200 at the Charlotte Motor Speedway “Roval” Road Course when his unsponsored #38 RSS Racing Chevrolet fell out with suspension damage after he completed 6 of 55 laps. 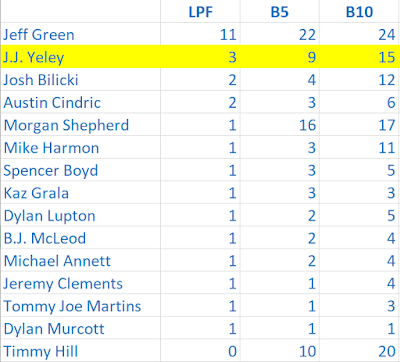 The finish, which came in Yeley’s 309th series start, was his third of the season and first since the night race at Bristol, six races ago. In the XFINITY Series last-place rankings, it was the 14th for car #38, the 14th because of suspension issues, and the 514th for Chevrolet. Across NASCAR’s top three series, it was the 47th for the #38, the 37th for suspension issues, and the 1,628th for Chevrolet. Two weeks ago in Las Vegas, Yeley earned a season-best 11th-place finish on the XFINITY side, matching his 11th-place run at Talladega this past spring. It was the first time he’d finished an XFINITY race under power since Daytona in July, where he ran 16th. Following a 25th-place showing in Richmond, Yeley was one of five drivers scheduled to run double-duty at Charlotte’s new “Roval” configuration, giving him a head-start on preparing his Cup ride in the #23 Adirondack Tree Surgeons Toyota fielded by Front Row Motorsports. Yeley’s XFINITY car would again be one of three from Ryan Sieg’s RSS Racing team, though this time with new sponsorship. Running the same paint scheme Jeff Green trailed with in Road America (only with #38 instead of #93), the car carried logos for country music star Frank Foster, who celebrated his new album “‘Til I’m Gone.” Foster tweeted on Friday with images of the car, and said he would be in attendance to see his car in action. Unfortunately, the Roval had other plans. During opening practice, Yeley was making his first timed lap, following the #13 OCR Gaz Bar Dodge driven this week by John Jackson. Reports indicate Jackson locked the brakes, perhaps from dropping fluid on the track, and Yeley had trouble avoiding the slowing #13. Footage from the incident showed Jackson already stopped, facing backwards past the exit of Turn 1. In the background, back at the apex of Turn 1, Yeley was still slowing down and appeared to already have damage to the right-front of his car. Yeley struck the barrier with the right-front, destroying his car and shoving the right-front wheel back against the firewall. Yeley was uninjured, but the car was totaled. The RSS Racing team managed to unload their plain black backup car, but did not wrap it in Frank Foster’s graphics for the race. Instead, the car appeared to have a bright red #38 on each door and the roof. 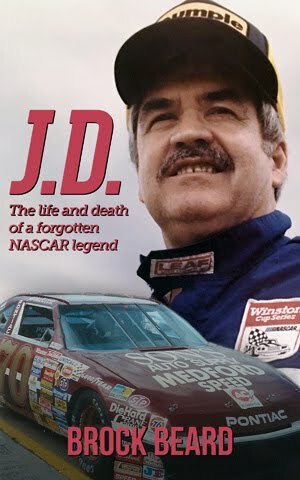 Unlike both Bristol races this year, there did not appear to be any shuffling of cars between the teammates – both Sieg’s fully-funded #39 and Jeff Green’s #93 remained unchanged by race day. This meant, and appeared confirmed on Saturday, that Yeley was not going to run much of Saturday’s race. 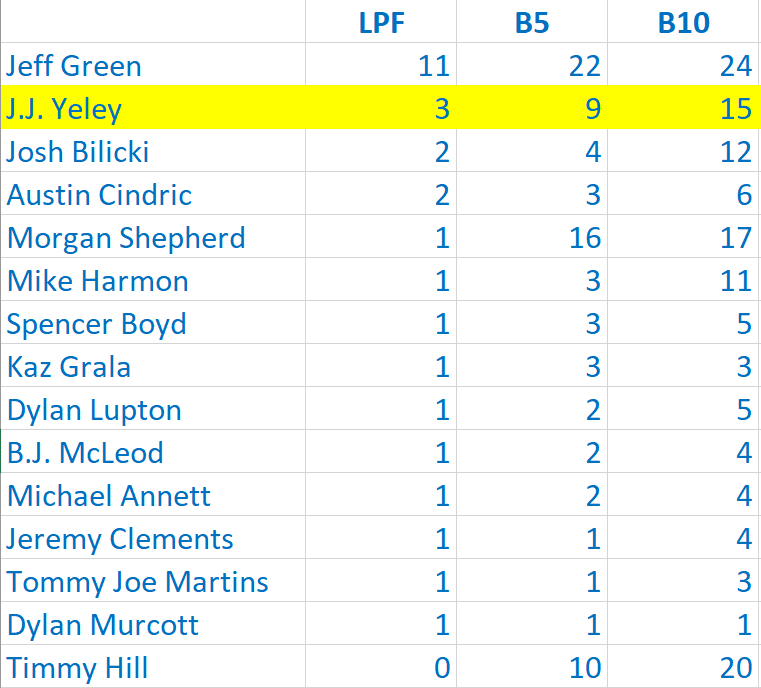 Yeley’s backup car qualified 38th with a lap of 94.267mph (1 minute, 27.072 seconds). With 41 drivers set to attempt the 40-car field, the only team sent home was the “newest” one on the circuit – Obaika Racing’s #97 with Tanner Berryhill. Both Obaika and Berryhill had been attempting their return to the XFINITY Series after Obaika acquired some of the assets from the shuttered BK Racing team earlier this year. Though the car did make laps in practice, that effort was foiled when Berryhill did not take a lap in qualifying, sending them home. Also in qualifying, John Jackson was swapped out of the #13 for Cup regular Landon Cassill, who secured 31st on the grid to become the sixth “double-duty” driver in the field. Starting 40th was Vinnie Miller, who while entered in B.J. McLeod’s #78 Chevrolet appeared to be running his same #01 JAS Expedited Trucking Chevrolet fielded by JD Motorsports, just with McLeod’s yellow door and roof numbers on his machine (Pirelli World Challenge road racer Lawson Aschenbach took Miller’s ride in the #01). 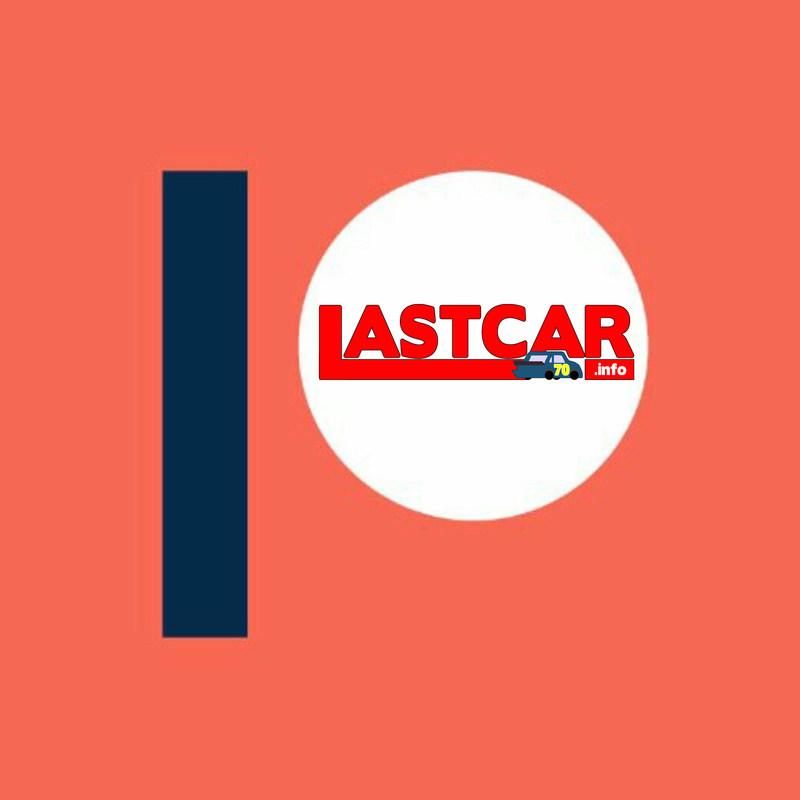 Yeley would join Miller at the rear for his backup car penalty, as would Spencer Gallagher, who went through two cars in practice, including Bill Elliott’s ISM Connect Chevrolet from Road America, which hit nearly the same spot in Turn 1 as Yeley. Ryan Truex also went to the back for unapproved adjustments on Kaulig Racing’s #11 Leaf Filter Chevrolet. Playoff contender Ross Chastain also voluntarily fell to the rear from the 16th spot, anticipating early carnage that would involve his #4 JD Motorsports Chevrolet and risk his 18-point cushion in the Playoff standings. By the end of Lap 1, Miller had retaken the 40th spot in the #78 after starting the race 8.984 seconds back of the lead. Lawson Aschenbach incurred the first in-race penalty of the day when he missed the backstretch chicane, forcing a stop-and-go penalty, but still ran ahead of Miller on the second go-round. Coming to the end of Lap 2, trouble then found Alex Labbe, who had qualified a career-best 5th with DGM Racing. 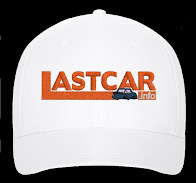 As he steered through the final chicane, the cap on his left-rear wheel came loose, causing the axle and axle grease to fall out on the track. 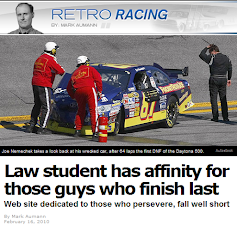 Ty Majeski, running behind him in the #60 Ford, made contact with the slowing Labbe and barely avoided the debris. Labbe then slowed to a stop at the exit of Turn 1, drawing the first yellow of the day. Labbe lost a lap in the exchange, but was able to return to action after work from the crew, who calmed their driver and said they’d finish repairs at the end of Stage 1. With the entire field still running on Lap 3, Labbe worked his way back into contention and would ultimately get his lap back on Lap 35 and bring it home an impressive 13th. Yeley, however, would pull behind the wall at the end of Lap 6, done for the afternoon. In the end, all three RSS Racing cars finished inside the Bottom Five. Jeff Green finished 39th following at least two trips to pit road in the race’s early stages. Prior to the event, Green struck the “turtles” exiting the backstretch chicane, damaging the right-front of his splitter. Green didn’t take 39th until Lap 26, when he passed Katherine Legge, who returned from right-front splitter damage after she spun off track in JD Motorsports’ #15 Air Tec Chevrolet. Ryan Sieg ended up 36th, his goal of running a conservative race in the #39 Night Owl Chevrolet thwarted when he collided with Justin Allgaier’s spun car exiting Turn 1. Sieg’s crew managed to piece the car back together, but soon after, the tape holding the nose let go, causing the remaining pieces to flap up over the windshield. Sieg pulled behind the wall after the debris was removed. Between the RSS cars in the Bottom Five were 38th place Landon Cassill in Motorsports Business Management #13 and 37th-place Andy Lally in DGM Racing’s #90 Alpha Prime USA Chevrolet. Lally raised the ire of Elliott Sadler in the middle stages for driving too aggressively, and soon after the #90 pulled behind the wall with crash damage. *This marked the first time car #38 finished last in an XFINITY Series road course race.